Hi everyone, just popping in quickly before hitting the hay tonight. 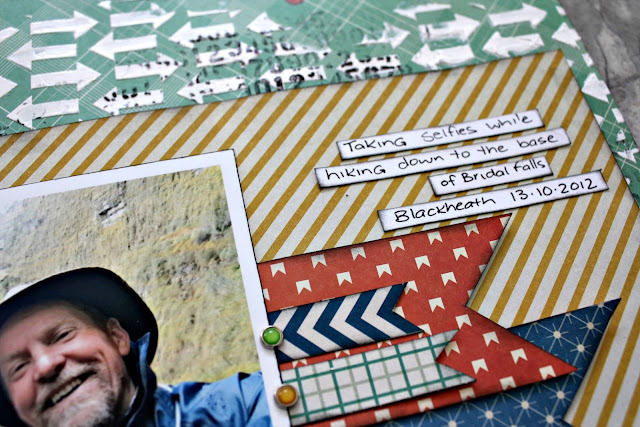 I'm sharing another layout for Sketchabilites - sketch #97.....Using more of some older papers in my stash - American Crafts, Chap (from a fairly old Paper Stories kit)... I wanted something bright to help lift this not so perfect photo (it's way over exposed....but is still one of my fav's as I think it really depicts us both perfectly - in our element, out there in this great country of ours exploring everything it has to offer!). Love this CW arrow template on the background....with some Kaisercraft stamping as well. And a close up overall view. 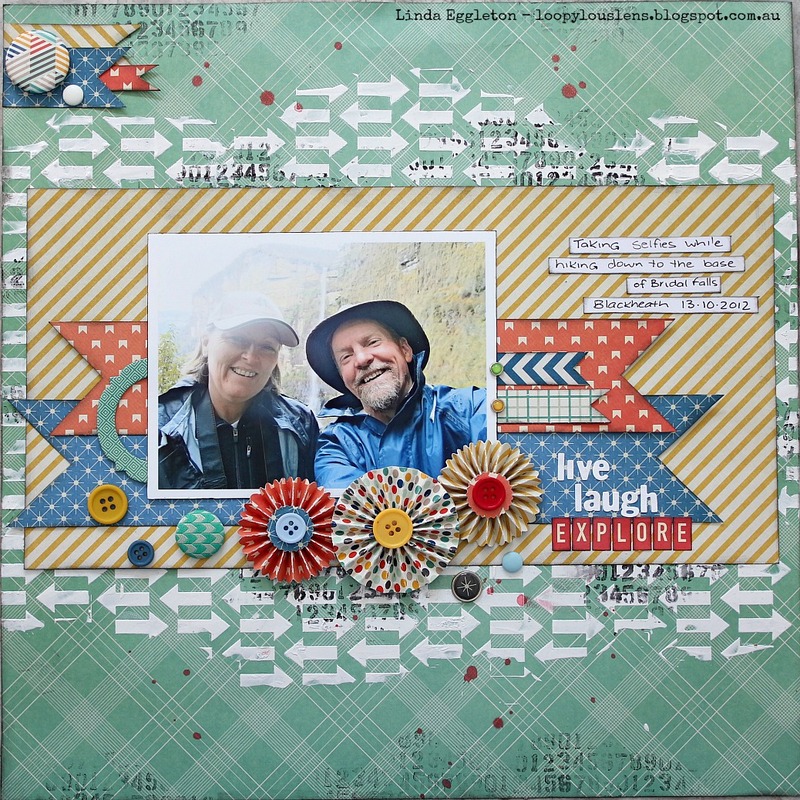 This is a beautiful layout Linda. I also love exploring our gorgeous country. 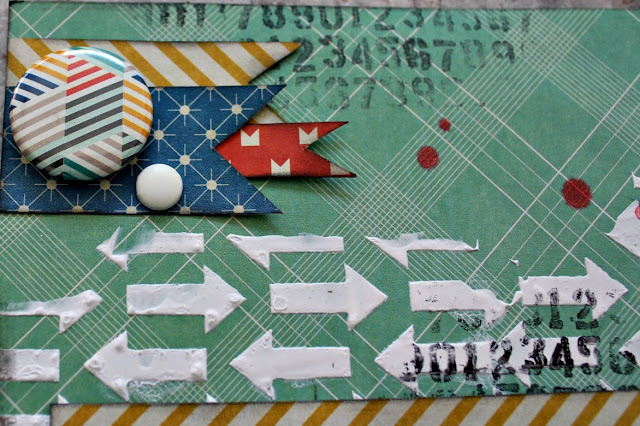 I love the arrow stenciling and the bright layers. Fun layout and super cute pic! Love the arrows and rosettes. Thanks for playing along at sketchabilities. This looks wonderful..I love the arrows mask and the rosette flowers too! Just sent you a FB message...made a BOOBOO!!!!!! Another stunner Linda. Gorgeous work! Linda thanks so much for stopping by my blog and leaving a lovely comment. Much appreciated. 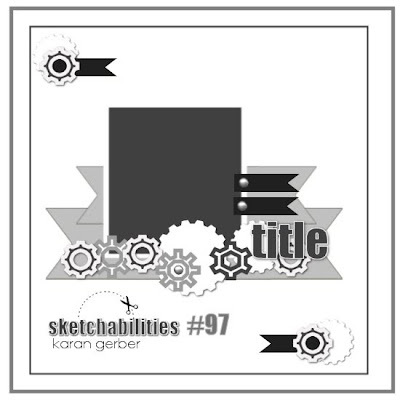 Love your take on this sketch and the wonderful texture and layers you've added to your layout. Fun photo too! This is just lovely Linda! Love that arrow stencil & the bright but muted tones of this page!! Linda, I love this layout - it just jumped out at me over at Sketchabilities. I love all the gorgeous little bits and pieces to look at and the colours are fab. This is a funny bright pages,beautiful. Thanks for playing along at sketchabilities! The brads and buttons look great on this layout. I like the banners too. How FUN! I love that arrow mask, very cool! Great photo, too! 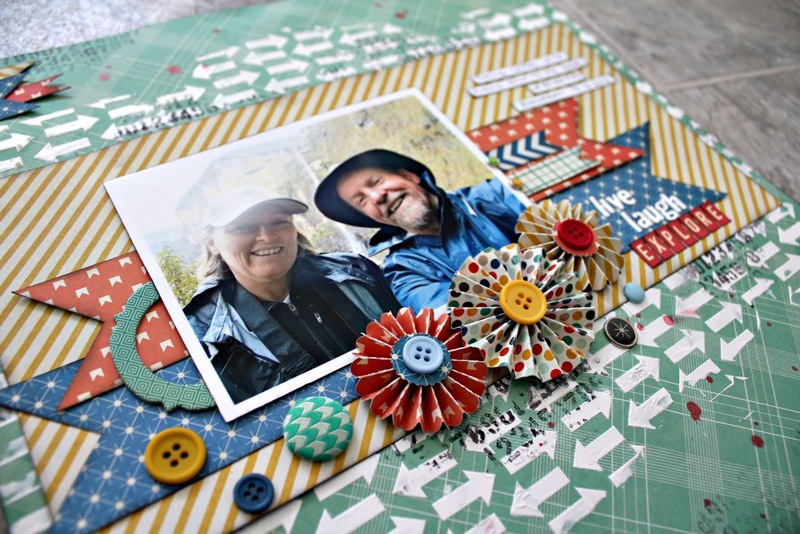 It is a great photo Linda and I love the bright papers you've added to it. 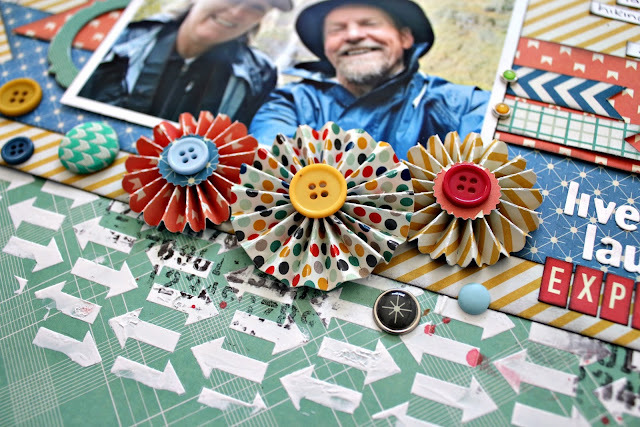 Love your use of the arrow mask and always love rosettes! Great page! Studio 75 - Prize pack & a giveaway!